On March 21 Bulgaria’s Poli Genova became the final act to reveal her Eurovision 2016 song. Our readers were generally quite enthusiastic about her bi-lingual number “If Love Was A Crime”. As wiwireader Hex wrote on our announcement post: “I must say I’m positively surprised. I wasn’t expecting much from Bulgaria but they have outdone themselves. I think this is going direct to the finals.” The bookies have responded with similar warmth. On March 8 SkyBET gave Poli odds of 100/1 to win the grand final. Today they have her down at 28/1. Bet365 narrowed her odds in a similarly dramatic fashion, moving her from 66/1 last week to 25/1 today. That puts her down as 13th favourite to win. When we last checked in on the odds on March 15, the top five consisted of Russia, Sweden, Croatia, Australia and Latvia — and in that order. Russia’s Sergey Lazarev maintains his position at the top of the table, with his odds at Bet365 narrowing from 2/1 to 7/4, suggesting they have even more faith in his victory now that all 43 songs have been revealed. In fact, the bookies have extended Sergey’s lead over second favourite Frans from Sweden. Bet 365 has widened Sweden from 7/2 to 5/1, while Betfred has moved Sweden from 4/1 to 6/1. 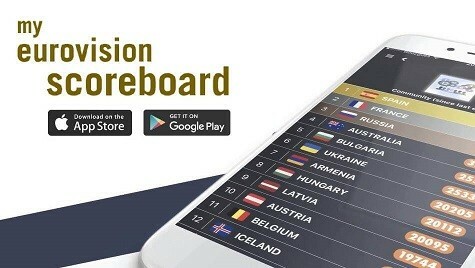 Australia and Croatia remain locked in a close battle to be third favourite, with betting agencies disagreeing on who deserves that third spot. Bet365, BoyleSports and Ladbrokes give the edge to Croatia’s Nina, while SkyBET, ToteSport and BetFred lean toward Australia’s Dami Im. Malta’s Ira Losco is one of this week’s biggest movers and shakers. Prior to the release of her song “Walk on Water”, Bet365 had her down at 33/1 and Ladrbokes at 20/1, putting her down as 10th favourite overall. Following her video reveal she has narrowed to 12/1 at the former and 10/1 at the latter, putting her solidly in as fifth favourite and pushing Latvia’s Justs to sixth position. POLL: What is the best 100% non-English song at Eurovision 2016? See you all in Australia in 2017! I don’t get the buzz around Russia’s entry this year. The guy might look good but the song is incredibly outdated. Perhaps a song we would have heard plenty of five years ago. Actually no, say ten years ago! I do understand the bookies though. They know the voting patterns and Russia ends up high on the left hand side of the chart every year. But no matter how strong their diaspora across Europa might be, it won’t help them win!! Poland will be the win in this year. Super song, super voice, super everything. Russia will be in first 10. Russia is completely overrated this year and so is Sweden, one is completely generic, cheesy and gimmicky to the core and te other is just some average song that i simply don’t get why so much hype around it, it will probably end up like Robin Stjernberg back in 2013, mostly ignored on tele-voting and massively overrated by the juries for sure, anyway, i would like to see France winning this year, it would be refreshing to see an actual western country winning after so many years, besides, France hasn’t won since 1977, that’s a very long time already. “the voting always end up the same”…..”the result will be the same as in the last ten years”……yeah right….Finland 2006, Germany 2010, Denmark 2013, Austria 2014……..go figure. Who is betting on Frans??? Someone made a compilation of the top 43’s of 1000 different people and according to that frans is around 23-29th so i wouldn’t go putting my bets on him. Really surprised that Cyprus dont get mentioned in comments and still 12th favorite more or less. If Russia went to eurovision with “Alter Ego” they will still be favorites. If Cyprus went to eurovision with “You are the only one” would probably be 26th favorite. That still tells a lot about Eurovision. So what is my point of view. Meet bands/singers that you would otherwise never heard of, enjoy the show and the performances and keep the songs you personally like. Unfortunately, the voting always end up the same – ex-russian countries spreads the votes between each other, so as nordic countries, central eu is a bit floating… so, not surprised that in top 11 you will already see Russia, Latvia, Ukraine, Armenia, Azerbaijan. It is really pity that the votes are not based on the actual song quality but the political correctness. So, my point here is that no matter what the odds for the Eurovision 2016 are – the result will be close to the one in the last 10 years. Does anyone else here think Bulgaria can win, or at least do top 3. I think it’s one of the best here. I think that eurovison 2016 will be particular , a dark horse will win .I think its’ not predictable for the moment.let’s wait for the rehearsals. @bella Last year Måns got the same amount of hate as Frans so this is looking GOOD for Frans. History repeats itself. Conchita got much love here but the hate was enormous over all. Stats from 2009 until now tells very clearly that the phenomenon with the most love AND hate have won (Except Azerbaijan in 2011 but you all know why they won) Frans is that one this year so I am VERY confident in a good result. Top 5 at least. We dont need a fake justin bieber in eurovision. Dont let eurovision lose its prestige. Frans should compete in junior esc. Loo previous years I didnt write comments here.Have you ever seen such a hate for a country who won in the past? I want Azerbaijan and Norway to get higher because I love their songs and they are two of my favourites to win and for Sweden to drop because their song should NOT be second. @matt Frans corrupted? LMAO. Sorry but Sweden is not like Russia or Azerbaijan! @bella Indeed! They just don’t get it. Too bad. Loo :- What you call the “anti-Sweden wave” and “trolls” CAN’T stop Europe voting for Sweden in the polls. Europe is voting for other countries and not Sweden, it is a fact in all polls. By the way, you are not gaining any support by calling readers “naive and stupid”. Just saying!! Plenty of time to go, anything can happen, I am at least keeping an open mind at this stage. Actually I would like to win any country from Eastern Europe. Because I want in 2017 to go to Eurovision. And their girls are amazingly hot and pansies. But it better be Croatia, Russia or Serbia )) they have good resorts and warm sea and lots of positives), the Czech Republic is also a good option! Fabulous Prague, cheap tasty beer and beautiful girls. You are all wrong. Sweden’s low rating in the poll is due to the anti-Sweden wave and all the trolls. I know that you all know the truth 😉 Frans is charting even more than Måns did last year. You just make yourself look naive and stupid x) Please share your opinions about the song, I respect that some of you don’t like it (Even if I believe almost every person here like it deep inside but just won’t confess it) but do not underestimate that Sweden will get a really good resultat this year as well. Bella :- Yes polls don’t always predict the winner which is understandable, but the right polls will let us know who the public like and dislike and are a pretty decent guide. Usually a country who is 20th is not an ESC winner, so the early signs are not good for Frans. However, still about 7 weeks to go and it is important to keep an open mind on what can still happen, things change very quickly. Early days still. @Mery – I agree with you. In any case, not very important who wins. It is important that we have the spirit of Eurovision and good music. Poland and Russia are awesome this year. But Poland will never win because Eurovision is political competition, not song. So I think the winner will be Russian. Well… I think Russia will have a chance of even more as soon as Sergey will take the stage and show its a great show. Those who say that the song is old – I wonder… Does the music have a shelf life??? Song is done on the large mass. And so it can’t be experimental art-house performance. They do it right. Frans won’t win. No chance. The song is not good enough and way too repetitive. And the jury already supported Sweden last year. They don’t want to be criticised again for putting Sweden above more popular entries. Right now Frans is kind of popular because of the end of the Swedish pre selection 8and the whole hype about that festival) but that does not mean a lot since it is still 1,5 month to the competition. I think the odds are mostly spot on this year. The problem is we are so done of going to Sweden because we are out of money and may we cant afford next year. life in sweden is very expensive. Ok. So the Swedish guy is “viral”. What’s the problem with that? Viral phenomena last less than the flavor of a cheap chewing gum. If this stays until the contest, I will raise my eyebrow and seriously consider social media as an indicator. Please not Russia, really not a winning song. Really deserve winners Malta and Australia. 1st malta amazing song welldone???? You all saying that the Russian song is dated??? That’s the only LAME excuse you all could think of??? Jeez. You could do better than that!!! Oh anyway, any other LAME reasons won’t be welcomr anymore Thank You much!!! Smile!!! Excellent! Last year we had an homophobic winner and this year we might have a homophobic country winning. This year is very similar to 2011 – no clear favorite. Sure, Russian song is good, but it’s no Heroes and even if it wins, it will be with a narrow margin. I think the juries are going to pull Armenia, Australia, Malta and Ukraine up. Given that Armenia and Ukraine usually do well with televotes it wouldn’t surprise me if either one of those won.